You have a part to play in the Lord’s return. Find out what you can do to hasten—or speed up—His coming. Scripture is clear that Jesus is coming again. But some may wonder why He has tarried so long. James 5:7 says that “the husbandman waiteth for the precious fruit of the earth.” Our Heavenly Father doesn’t want anyone to perish. He has great patience and wants to see many souls brought into His Kingdom. 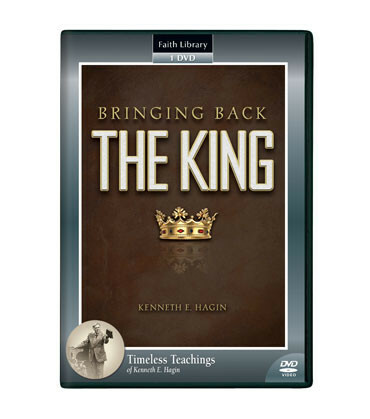 On this DVD, recorded on the Rhema campus in 2001, Kenneth E. Hagin studies Second Peter 3:12, “Looking for and hasting unto the coming of the day of God,” He asks, “Is it possible that we can hasten—or speed up—the return of the Lord?” According to the Word of God, we can. Discover what you can do to bring back the King!